Mercedes-Benz performance tuning is another term for elevating the performance capabilities of a new or used Mercedes-Benz or Mercedes-Benz AMG®, as well as its appearance. This is usually done with Mercedes-Benz performance parts that are specially designed for your vehicle’s year and trim level. Wondering about your performance tuning options? Read on to learn more about the parts available to you at Mercedes-Benz of Edison — your trusted brand experts near Staten Island. 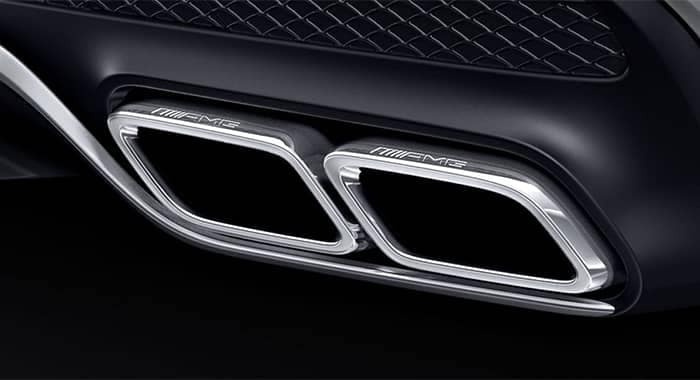 Exhaust: Give your vehicle that quintessential sports car growl. Suspension: Adjust your vehicle’s suspension for sportier feedback, or give your Mercedes-Benz SUV greater off-roading prowess. Cabin: Install a speedometer with increased speed range and give your interior a more streamlined look with a leather dashboard and more. Exterior: Make passersby do a double-take on New Brunswick streets with an upgraded grille, fin antenna, spoilers, and classic Mercedes-Benz hood ornaments. Lighting: There are plenty of street-legal headlight options, including halogen projector lights, LEDs, and black headlights. What Makes Mercedes-Benz AMG® Performance Unique? Shop for Mercedes-Benz Parts at Mercedes-Benz of Edison! Ready to repair or upgrade your Mercedes-Benz or AMG®? Contact us at Mercedes-Benz of Edison in Edison to learn more about our inventory. You can also schedule a service appointment if you’d like professional parts installation as well.